Postcard from the Thanksgiving series, Warshaw Collection of Business Americana, AC0060-0001276, about 1910. Warshaw Collection of Business Americana, Archives Center, National Museum of American History. 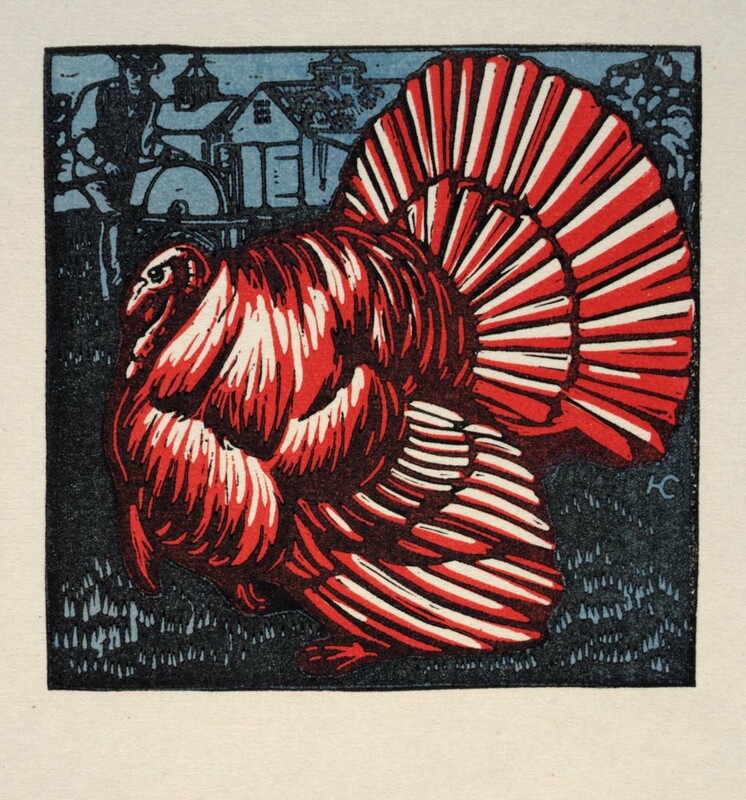 Woodcut, The Marchbanks Calendar–November by Harry Cimino. Smithsonian American Art Museum. We all have traditions, but where did they come from? When we deep-fry the turkey or add a spiral ham to the menu, it may not seem particularly innovative. But the technology behind these yummy traditions had to come from somewhere. While doing some Thanksgiving-inspired Googling, I came across some fun videos from History.com on the invention of deep-fried turkeys and turduckens. In the meat industry there is a large market for sliced meats, particularly for ham slices, but the bone construction and the shape of a ham is such that no wholly satisfactory method of slicing it exists. This statement also applies to legs of lamb and other like cuts of meat. It is an object of the invention to provide a method and a machine for slicing ham and other joints, which are of exceptional efficiency in operation. Another object of the invention is to prepare ham for the market in a new and superior form. Millions of spiral cut hams are sold every year, so I believe we can safely say that Hoenselaar accomplished what he set out to do—create an “efficient” ham. 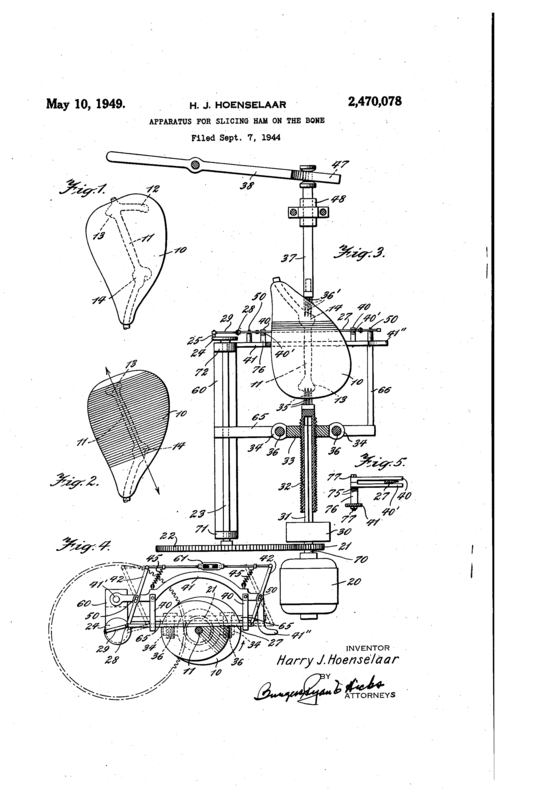 Patent drawing by Harry Hoenselaar. So whatever your traditions are this Thanksgiving, enjoy the holiday! And remember, when frying a turkey, safety first!